A slow burning prison drama, Brubaker portrays a noble fight against a corrupt system but lacks the depth of character needed to sustain its weighty intentions. In the late 1960s, a new group of prisoners arrives at the derelict Wakefield State Prison in Arkansas. 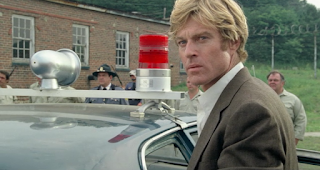 Among them is a quiet man (Robert Redford) who says little and observes a lot. He witnesses crumbling infrastructure, inhumane conditions and a brutal system of prisoners designated as trustees regularly abusing inmates with whippings and torture. Meanwhile the warden and his administrators are either absent or uncaring. When he stumbles upon a detainee in solitary confinement (Morgan Freeman) threatening to start a riot, the quiet man reveals himself to be Henry Brubaker, the new reformist warden of the prison, appointed with the help of politician Lillian Gray (Jane Alexander). The idealistic Brubaker takes over the running of the facility, sets about to improve living conditions and appoints a couple of the more dependable prisoners as trustees, including Dickie (Yaphet Kotto) and Bullen (David Keith). He uncovers a racketeering operation based out of the prison grounds, and corruption that extends well outside the prison walls: the surrounding community depends on the prison for slave labour and a steady stream of revenue from contracted projects that are shoddily delivered. By disrupting the long-established status quo Brubaker finds himself at odds with state prison board officials, including chairman John Deach (Murray Hamilton). Things get a lot worse when a long-term prisoner reveals an ever darker secret about what goes on at Wakefield. Director Stuart Rosenberg returns to the prison milieu he helped to make famous with Cool Hand Luke, but this time it is the warden rather than a prisoner who shakes up the system. Written by W. D. Richter, Brubaker is loosely inspired by the real-life experiences of warden Thomas Murton and the 1967 Arkansas prison scandal. The film settles down to 132 minutes of oppressive drama where prison life is either bad or worse, the mood is grim and prospects bleak. Brubaker's progressive energy represents a thin ray of hope. But gradually he comes to realize that as difficult as it is to make changes within the prison walls, it's the fight against the broader community, benefitting from the prison as a source of slave labour and fraudulent contracts, that represents the greater challenge. Within the prison the film is dominated by a large number of desperate men abandoned in dilapidating conditions, while the businessmen and politicians on the outside are determined to leave an existing economically advantageous arrangement alone. Rosenberg and Richter successfully build up a system seemingly too entrenched for one man to take on, and then let their hero loose to try and knock down a sturdy wall built on exploitation and abuse. Cinematographer Bruno Nuytten colours the film in dark blues, greys and black, creating a bleak, grimy and frequently damp environment whether the action is inside the old buildings, on the expansive grounds, or within the depressed community. This is a film drenched in the pessimism of a broken system, and the tone rarely varies. While mentally engaging, Brubaker rarely stirs the soul. The central character is too monotonal in his quest to do good, and little is offered in the way of character depth or evolution. 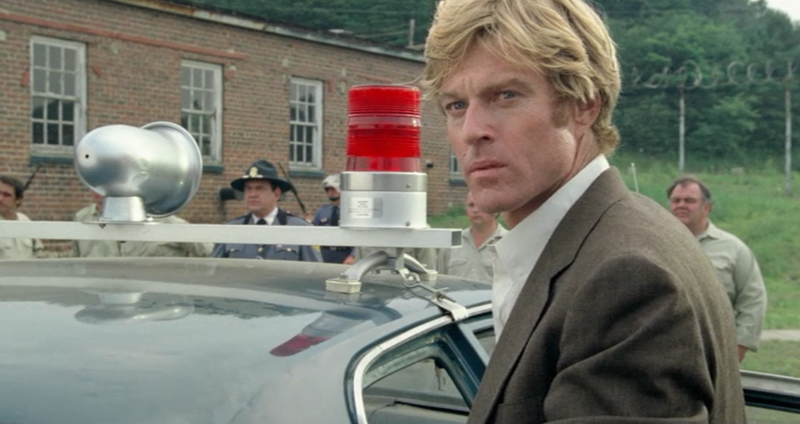 Redford's performance starts and stops with a dogged determination, and does not change in the face of insurmountable odds. The trustees and prisoners are plentiful, and that is a problem. Rosenberg is unable to carve out any individual identities beyond the most rudimentary sketches, and in the absence of characters with compelling depth, the film does drag. 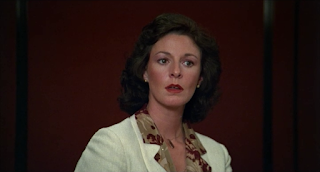 While David Keith as Larry Lee Bullen comes closest to finding a personality, Murray Hamilton and Jane Alexander have plenty of screen time but not many opportunities to step beyond their predictable character boxes. 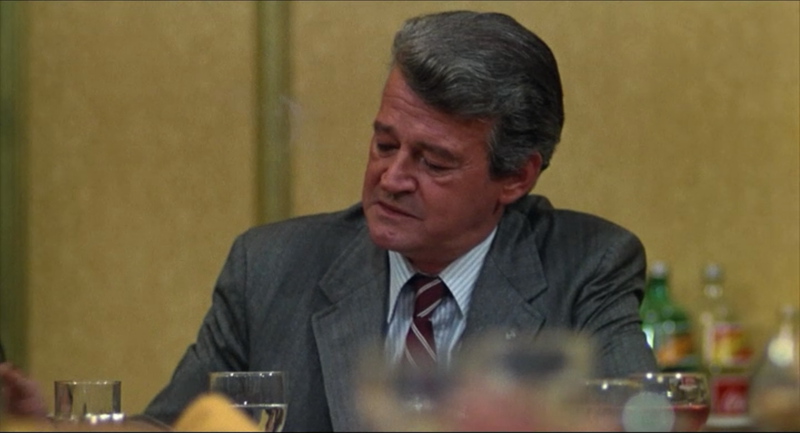 In addition to Morgan Freeman in his first credited role, stalwarts M. Emmet Walsh and Wilford Brimley have relatively minor appearances. Brubaker has the right intentions and a worthwhile story, but lacks the spark needed to truly break out of the prison walls.